I started my blog in 2011, aged 17 because as an aspiring showbiz journalist – I had been told time and time again, ‘start small’. 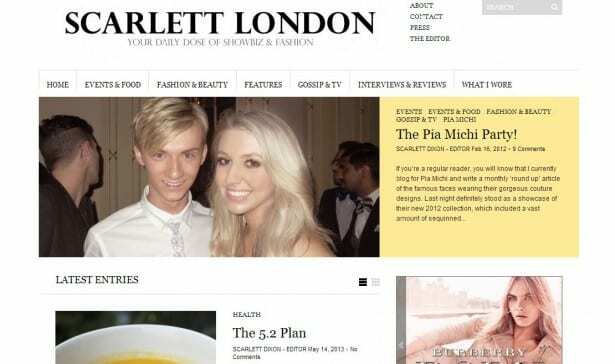 I figured setting up a little online portfolio of my writing skills couldn’t hurt, so I promptly named my small corner of the internet scarlettlondon.com and started pouring my time into writing about things I loved. I never expected anyone to read it, in fact – I never shared the fact I’d set one up with my family until much later on. For a month or two, it was just me and my blog. Since then, my online space has grown. Dramatically in fact. And I’ve recently been nominated for an award by Company Magazine. I absolutely love blogging and wouldn’t change it for the world, despite it being a 24/7 job. I often get young girls emailing asking for advice, which is honestly the ultimate compliment (I still don’t feel qualified enough to give out advice) – so I thought I’d disclose my blogging trials and tribulations here. For all to see. If you’re planning to set up a blog, there’s a few little tips I would have been grateful for – so here’s a heads up. Choose a name that sounds catchy, because really and truly who is going to remember to read a blog called isabelle9784? The name Scarlett London came to me on a whim really, my name is Scarlett and I live near London. It’s not particularly exciting, nor is it boring. So it stuck. Make sure you Google whichever name you are choosing to go with, before selecting it – as this will help in the future when you want to increase your search engine rankings. If someone else has a similar, or the same name – pick something different, as it will be harder to distinguish yours on the internet if there are already lots out there that use the same words. Set yourself up on social media platforms such as Twitter, Facebook and Instagram. Depending on what your blog is about, you may want to have your personal and your ‘blog’ social media channels integrated (just make sure you don’t post anything too inappropriate) whereas if you’d prefer to keep things less personal, have them separate Twitter is where my main stream of traffic comes from, because it’s where I can interact and talk to readers on a personal level. I can publicize my posts, but I can also ask about people’s opinions. A blog is very different to a ‘magazine’, because it’s normally about a person’s life or someone’s interests. Your Twitter and Facebook pages enhance this personality – so capitalize on it! Don’t start promoting until you have at least 10 posts. A reader isn’t going to immediately ‘fall in love’ and be loyal to your blog if you only have one or two posts to show (unless those one or two posts are amazing) so make sure you have at least 7-10 posts on your site before you start promoting it. This also allows time for you to experiment with your writing, see what layouts work and see what direction you’re heading in. Readers aren’t going to swarm overnight (unless you’re Harper Beckham starting a blog) so be patient, but I always follow the motto ‘a published post should always be one you yourself would read’. Don’t panic if you’re not being noticed. It’s very easy to start comparing your blog to others already out there in the blogging world, especially since they have a very active presence on social media – however, you should remember that every blog is different and if you haven’t been noticed just yet – just keep writing about what you’re passionate about and you soon will. PR samples and event invites weren’t something I even considered when I set up my blog, I didn’t even know they existed but once you start making your mark and presenting your opinion, you will start to see these ping through your inbox too. The Most Rewarding Things About Being A Blogger? – Being able to meet other like-minded and talented writers/bloggers at events. I never knew there was such a large and friendly community out there, who welcome others with open arms – and support one another so much. The blogging community can seem a little daunting at first, but I’ve made so many new friends by writing my blog. 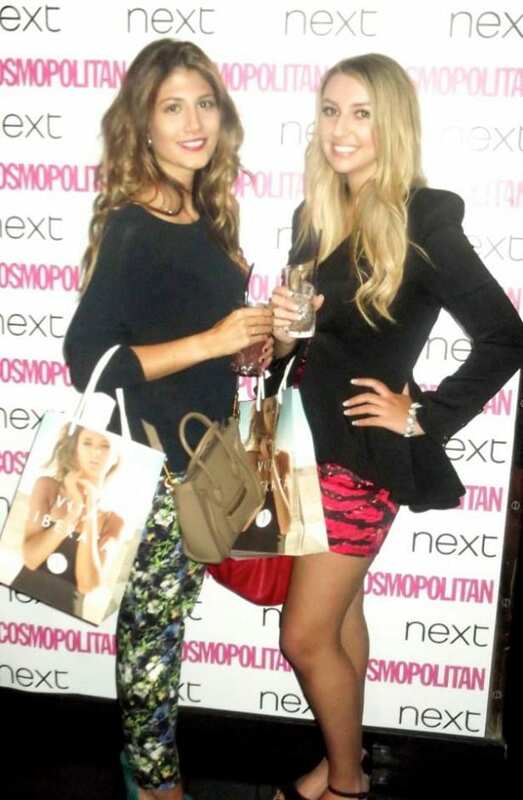 – Attending showbiz and fashion based events that enable me to ‘see how the other half live’. 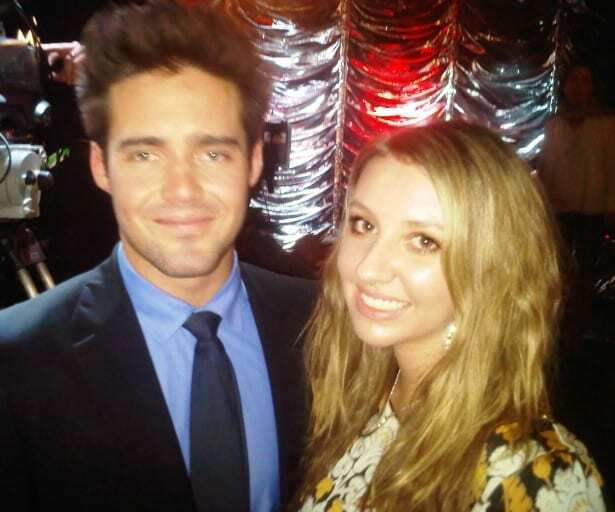 Since starting my blog, I’ve been invited to interview the cast of Made In Chelsea live on air, I’ve met television (and film) stars and I’ve been to some amazing shows at London Fashion Week. Sometimes, I honestly cannot believe the opportunities that blogging has presented to me. It’s amazing! – Having a place to express my opinion. I am an opinionated, inquisitive (nosey) and curious person by nature, so if I’m not expressing my opinion in person, I need another platform to vent my thoughts – and luckily, my blog is the perfect place. I think it’s important to stay true to your beliefs, thoughts and opinions throughout. It’s what makes us individually interesting. The not so great bits? – It is tough to set aside time to blog every day/every few days, especially if you have a demanding job, exams, or a busy social life. But I think the rewards and the positives definitely outweigh any negatives!